I’m not sure whether this is influenced by the water level or the flash flood in 2008. 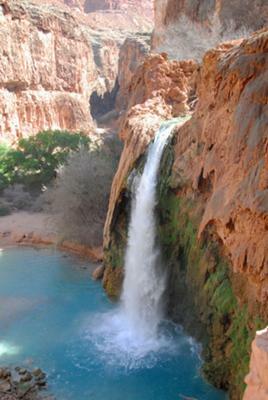 When we visited Havasu Falls last week, there was a single plume of water surging over the crest. As stunning as this waterfall is, we thought Mooney Falls (a mile or so down stream) was even more impressive.